Bioidentical hormone replacement therapy (BHRT) with SottoPelle® pellets is one of the simplest ways to resolve hormonal imbalances for men and women. 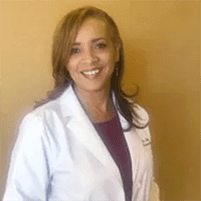 With her advanced training in modern bioidentical hormone solutions, Leita Harris, MD, of Nurturing You Women's Health & Wellness in Corona, California, can get you started on an effective bioidentical hormone replacement therapy plan right away. Book your bioidentical hormone replacement therapy consultation through the online scheduler, or call the office directly. Why do I need bioidentical hormone replacement therapy? Plus, because hormone fluctuations can make it difficult for you to both fall asleep and stay asleep, you’re left feeling fatigued all day. Bioidentical hormone replacement therapy can help with this problem, too. How do bioidentical hormone replacement pellets work? Bioidentical hormone replacement pellets with SottoPelle are compounded specifically for you based on testing to evaluate your needs. They’re inserted under your skin, typically in your hip area, during a short in-office procedure at Nurturing You Women’s Health & Wellness. This natural pellet delivery system provides a steady, slow stream of hormones directly to your bloodstream 24/7 whenever your body needs it. Because your body is able to control the release of hormones just as it did when your ovaries or testicles were fully functioning, the low hormone side effects you experience gradually start to diminish. How long do bioidentical hormone replacement pellets last? SottoPelle bioidentical hormone replacement pellets are long-lasting. Dr. Harris finds that most men and women experience dramatic results for as long as three to six months before symptoms slowly start returning. Because SottoPelle bioidentical hormone replacement pellets are designed for your own body and are entirely natural, it’s perfectly safe to have the treatment repeated again as needed. As an alternative to pellets, or to enhance the benefits of them, Dr. Harris also sometimes recommends bioidentical hormone creams, troches, and other formularies. These types of BHRT treatments don’t provide hormone delivery 24/7 as pellets do though. They’re only effective while using them and can provide instant relief if it’s taking time for pellets to start working. Learn more about bioidentical hormone replacement by booking a consultation at Nurturing You Women's Health & Wellness. Schedule online or over the phone.